At this time I would love to have an interview with Mr Verdenik. It would be really interesting to hear his views on all that has gone on at the club during his brief reign. Unfortunately I am not a journalist and have no access to Mr Verdenik. Furthermore I have failed to bump into him around Omiya this week. I had rather imagined him wandering disconsolately among the shops, restaurants, cafes and department stores of Omiya these past days. All alone. A solitary figure in a fading grey baseball cap. Well, never mind. Here is the next best thing. The following are the questions I would ask. Would you ask anything else? 1. Why did you lose your job? 2. What was the best moment of your managership? 3. Who is the best Japanese player at the club? 4. If you were still in charge, and could sign one player, who would it be? 5. What 's your favourite Japanese food? 6. 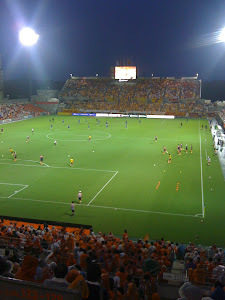 If you could do one thing differently during your time at Omiya Ardija, what would it be? 7. Will you sign and sell the grey baseball cap on ebay? 8. Will you tell us what really happened between you, the players and Mr Oguro? 9. What do you think of the club, it's fans and it's future? 10. What are you going to do next? Well, thank you Mr Verdenik for an amazing and unexpected run. I wish you all the best in your future. Wherever that may be.